In a land of only sweet things, one can never be unhappy. With blue skies, desserts, jelly, and a cute baker, this is a world everyone could live in, in peace. No matter what cravings one might have, there is something to settle all needs for all. We are proud to present this marvellous Video Slot by the name of Cake Valley from Habanero! The moment you enter Cake Valley, you will enter the games´ sweet design and layout, and no matter where you look there will be something to melt you away. The symbols are all made as sweet things, and you will see a red thread all throughout the game. the lower valued symbols are represented by the pink coated donut, the blueberry pancakes, the strawberry cheesecake, and the crème brûlée. The medium valued symbols are then the cupcake with a cherry on top, the ice cream Sunday, and the huge chocolate strip cake with strawberries. The higher valued symbols are then the strawberry cheesecake, the sweet baker man, and the extra special symbol which is the Wild spelled out in decorative colours and a lollipop. But the main features of the game are the ones triggered by the various colours of jelly-o. 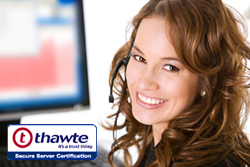 What these can pleasure you and award you, we will reveal all about just below. Green jelly mode: when the green jelly is chosen in the selector, 2 green jelly will appear on reels 2 and 4 – starting on row 2 in the base game. If you would then land the same or the Wild symbol on these jellies, you will be awarded 15 Free Spins. All wins in this feature will be multiplied by 8x. Yellow jelly mode: when the yellow jelly lands in the selector, 3 yellow jellies will land on rows 1, 2, and 3 – starting on row 2. If you would then land the same or the Wild symbol on these jellies, you will be awarded 12 Free Spins. All wins in this feature will be multiplied by 5x. Red jelly mode: when the green jelly is chosen in the selector, 2 green jelly will appear on reels 2 and 4 – and on rows 1 and 3 in the base game. If you would then land the same or the Wild symbol on these jellies, you will be awarded 8 Free Spins. All wins in this feature will be multiplied by 3x. The Wild Symbol is one that can step in to substitute for other symbols to then create winning combinations for you. The Wild Symbol is a symbol made of purple balloons and a lollipop for the “i”. Cake Valley is a Video Slot played with 5 reels over 3 rows with additional 243 ways-to-win. This is fixed at a cost of 25 coins. The positions of the 3 jellies are saved every spin, and all features are played at the ways bet and the bet level during the duration of them. the maximum win in total for one spin is 150,000,00. 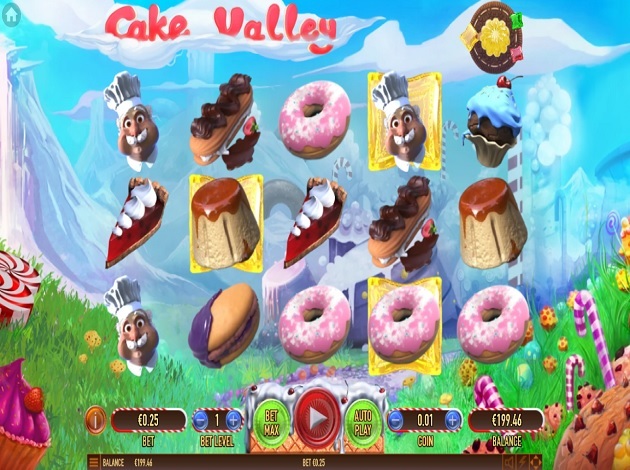 Cake Valley is a sweet Video Slot with attributes everyone cannot help but love. In the background you will see this notorious valley of mountain chains. On them are new snow laying still and clouds are surrounding the tops of them. you can see candy canes through the fog and simply guess on where you might be. the reels are made transparent to make sure that the sweet symbols pop out even more - which they managed to do very well. The control table is placed underneath the reels, all made of jelly, toppings, cherries and caramels. It is surely the most tooth-aching game we have seen in a while – but it is marvellously nice to play.